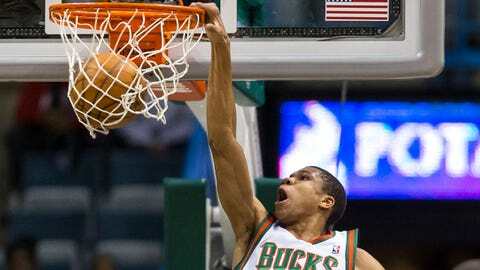 Ersan Ilyasova (not pictured) had 16 points and eight rebounds for the Bucks in Monday's loss to Los Angeles. Ilyasova was 6 of 22 from the field, and the Bucks shot just 38 percent on the evening. "When we were flying yesterday, flying here, I remember guys saying they can’t wait to get home, stuff like that," Griffin said. "But we knew we still had a game to play, some business to take care of." "Against a team like the Clippers, you have to be clicking on all cylinders," coach Larry Drew said. "They’re playing extremely, extremely well. The low-post game has been really good." "The defense is what gave us those 114 points. 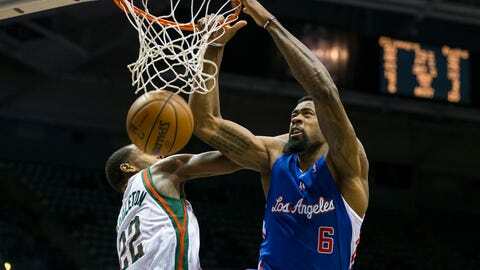 There in the second quarter, middle of the second quarter, we got stops," Griffin said. "I don’t think (Blake) needs the anger to do it. He just does it," coach Doc Rivers said. "He has been our go-to guy down the stretch." "You just have to stay the course. When things happen, sometimes you have plays that are rather deflating," Caron Butler (11 points) said. "Take the ball out, continue to get out in transition, keep the momentum and try to play our style of basketball." NOTES: Rivers said guard Chris Paul (separated shoulder) was running and starting to shoot again, but there was otherwise no change in his timetable to return around the All-Star break next month. Asked if he played a role in deciding when Paul was ready, Rivers answered "I never have anything to do with that. I’m not a real doctor, as you know. I thought you knew that." … Bucks starting center Larry Sanders and veteran guard O.J. Mayo each sat out a second game in a week due to flu-like symptoms.